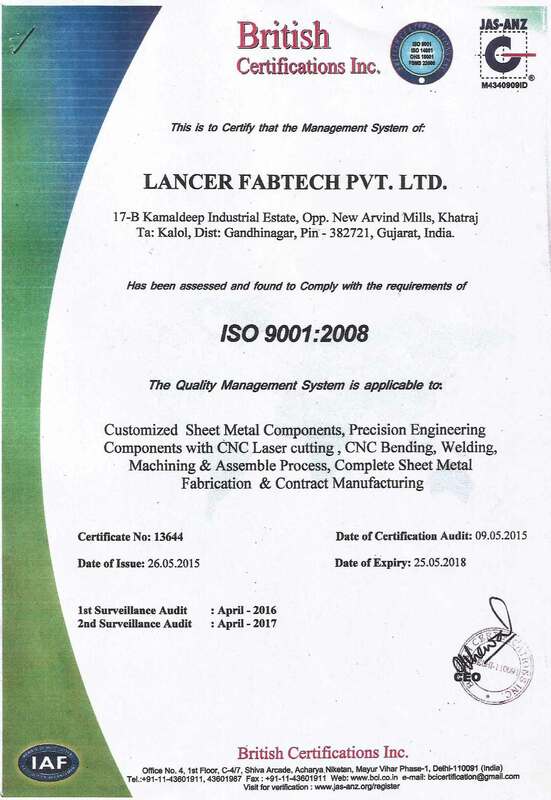 LancerFab Tech Pvt Ltd feelhonoured to have achieved the ISO 9001:2008 certification, which speaks volumes about our quality processes and management practices at this organization. 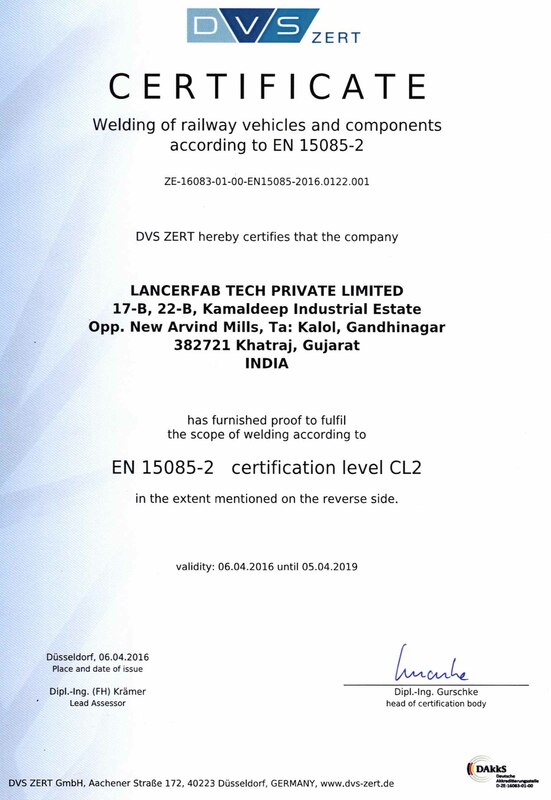 The EN 15085-2 certification is an established constituent of quality assurance when it comes to welding in railway vehicle manufacturing. 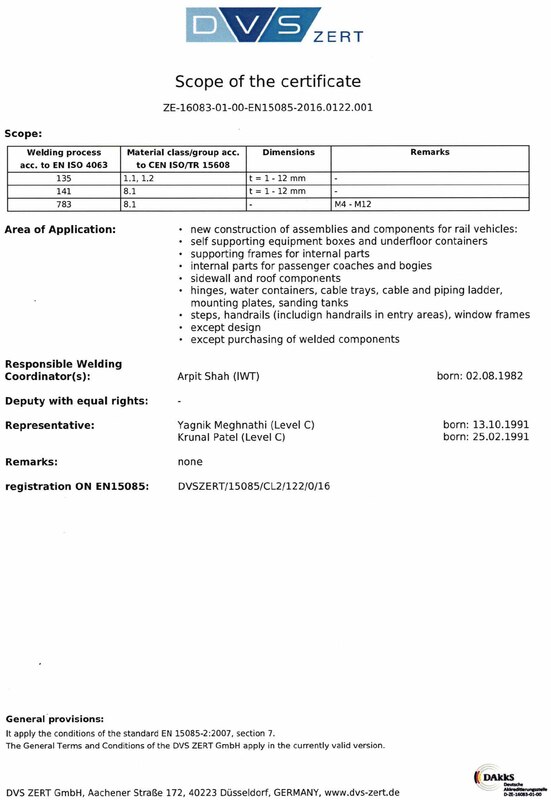 WE are proud to have achieved this international certification.